The student – through her mother – sued Ferrero UK Limited. A 16-YEAR-OLD student, who claimed to have been injured when she swallowed a chocolate spread containing minuscule shards of glass, has been awarded more than €30,000 damages in the Circuit Civil Court. The student – through her mother – sued Ferrero UK Limited, Greenford, England, manufacturers of branded chocolate and confectionery products. Barrister William Binchy, counsel for Jamie Lee, told Circuit Court President, Mr Justice Raymond Groarke, that she had been injured after eating a bagel over which her mother had spread Nutella, a chocolate spread manufactured by Ferrero, the second biggest chocolate and confectionery producer in the world. Binchy, who appeared with Daly Lynch Crowe and Morris Solicitors, told the court that on 14 September 2016, as Jamie Lee was eating the bagel and chocolate spread she discovered pieces of glass in her mouth. Examination afterwards had revealed there were several pieces of glass in the Nutella that remained in the bottom of the jar. The Nutella had been manufactured in England by Ferrero and purchased in a sealed jar in an Irish store. Binchy said the teenager had been alarmed and distressed and a couple of hours after having eaten the product had begun to experience stomach pains. Her mother had contacted Temple Street Children’s Hospital by telephone and had been advised by staff to bring her daughter to the hospital. She had been examined and an x-ray was carried out but no pieces of glass were discovered and she had been discharged from hospital that night. The following day she had experienced pains in her stomach and had to go home from school. The court heard that the incident had affected the child’s eating habits and she had lost weight with recurring episodes of abdominal pain. Binchy said the defendant, which had entered a full defence to the claim, had made a settlement offer of €31,600 and he was recommending that it be accepted by the court. Judge Groarke approved the offer which will remain in court funds until the child’s 18th birthday. Email “Teenager who claimed glass was in Nutella awarded over €30,000 in damages”. 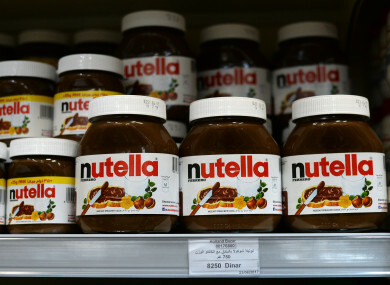 Feedback on “Teenager who claimed glass was in Nutella awarded over €30,000 in damages”.